Nordiana began her career as a tutor in early childhood education for Sultan Hassanal Bolkiah Institute of Education (SHBIE), Universiti Brunei Darussalam (UBD) in 2007. 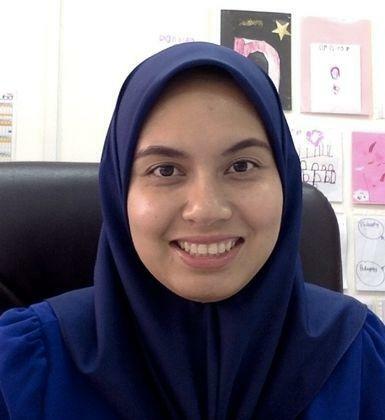 She is currently a lecturer in early childhood education for SHBIE, UBD since 2011. She has taught in some Brunei government preschools and primary schools via work placement from UBD. Nordiana has the experience of teaching various levels of early childhood education and care courses ranging from undergraduate to graduate degree level for SHBIE, UBD. Apart from that, Nordiana is nominated by the Asia-Pacific Regional Network for Early Childhood (ARNEC) as ARNEC's National Representative for Brunei Darussalam, with the approval of the Minister of Education, Brunei Darussalam, since July 2018 until presently. She also has the experience of working collaboratively with the Early Childhood Care and Education Unit, and the Curriculum Development Department, at the Ministry of Education, Brunei Darussalam, in monitoring and improving the quality of preschool services in Brunei government schools. She was also part of the working committee for the Task Force UNESCO Project 5: Preschool Programme for All for the Reaching the Unreached in SEAMEO Member Countries. Nordiana’s doctoral thesis focussed on, "The Impact of Educational Changes in Brunei Preschools: An Interpretive Study” and supervised by Professor Elizabeth Wood. She welcomes research collaborations and research supervisions in the areas of early childhood education and care. Asia-Pacific Regional Network for Early Childhood (ARNEC) National Representative for Brunei Darussalam.